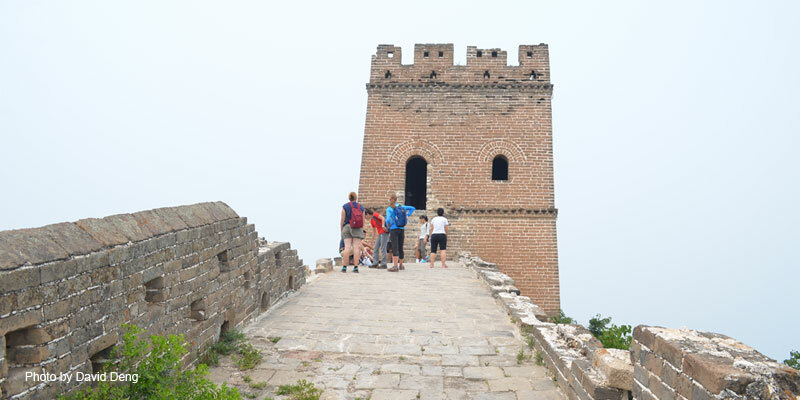 This moderately challenging, 3-hour hike offers breathtaking views of the Great Wall from Simatai West to Jinshanling, snaking along the ridge of the mountains, taking you through crumbling, ancient watch towers along the way. Hiking along this thoughtfully restored section of the Great Wall will transport you back in time to the heyday of imperial China and allow you to get a sense of what it must have felt like to be a Ming Dynasty soldier sent to the northern frontier of the Chinese empire to protect the imperial capital, Beijing, against nomadic invaders. Jinshanling is also famous for being one of the most photogenic sections of the Great Wall and is a fantastic place to take photos. Hike up to the most beautiful and photogenic section of Great Wall on the ridge of the mountains. Walk through ancient watchtowers of various styles and see the mechanisms of defense used on the wall. 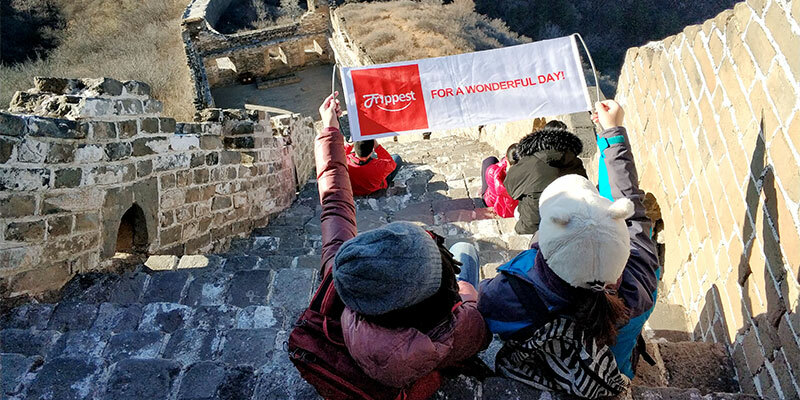 Enjoy free cold drinks and snacks at a Refreshment Kiosk on the Great Wall. 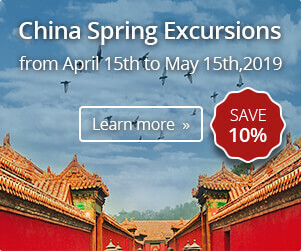 Spend your day with an professional expat guide or a bilingual local guide who will discuss Chinese history and culture with you along the way. A delicious post-hike meal at a Trippest vetted and approved restaurant. Guide: a bilingual expert guide who is friendly, professional and knowledgable. Driver: reliable licensed local driver with at least 5 years’ driving experience. Vehicle: air-conditioned business car (max: 7 seats) with GPS facilities, big windows and ample space. Trippest Beijing Office: 24/7 customer service, providing backup support. In order to avoid highway traffic and the scorching mid-day sun, we like to leave at this early hour (around 7:00 AM - 7:30 AM). 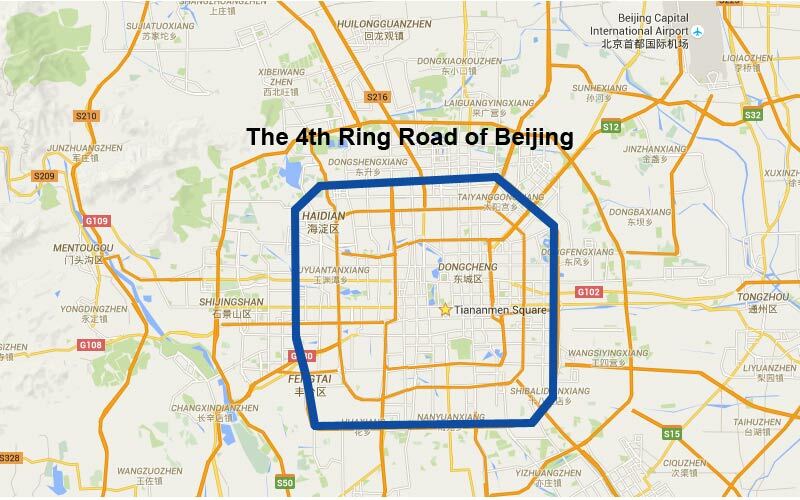 Depending on where your hotel is in the city, it will take 15-30 minutes to get to the highway (the highway entrance is at the north 3rd ring road; if you are staying close to the Forbidden City, for example, it will take around 20 minutes to arrive). Once on the highway, there will be a restroom break (if needed) after about 20 minutes of driving. In total, the drive will take up to 2 hours without traffic, and closer to 2.5-3 if we run into a jam. When we arrive, we will purchase your entry tickets and start our climb on a trail leading up to the wall. Simatai Great Wall is located along the ridges, so we will have to complete a 15-minute hike up some stairs before we reach it. 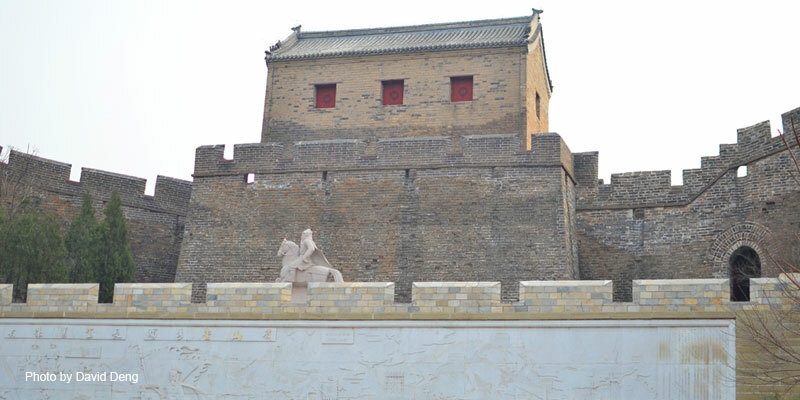 Great Wall at Simatai West is also called the east gate entrance of the Jinshanling Great Wall. And tourists are not allowed to enter the west part of Simatai Great Wall due to the repaired of the Great Wall. The Great Wall at Simatai West is about 130 kilometres from downtown Beijing, right on the border of Hebei province and Beijing municipality, this part of Great Wall weaves along steep mountain ridges for 10.5 kilometres through a mountainous rural area with dense vegetation. First constructed in the early period of the Ming Dynasty during the late 14th century, the Simatai West - Jinshanling Great Wall was subsequently rebuilt to a much higher standard in the late 16th century after the Ming Dynasty decided to beef up its border defenses following a major military raid on Beijing by Mongol nomads in the mid 16th century. To access the wall, it is necessary to hike up a long, winding staircase through the foliage. We will mount the wall through an unrestored watchtower called Houchuankou Pass (后川口), the first among many towers that we will be seeing along the wall.It is at this first pass where we will climb up on to the Great Wall itself. From there onward, hikers will be rewarded with stunning panoramas and be able to see the Great Wall stretching out to the horizon. 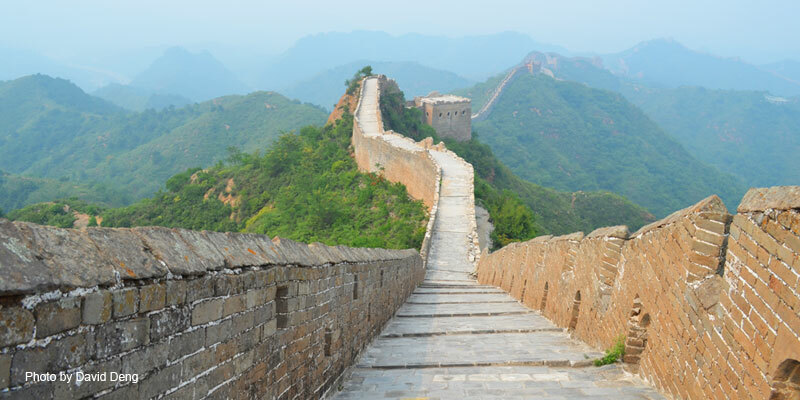 This section of the Great Wall is known for being built atop sharp ridges, and hikers will have a great chance to understand the impressive feat of engineering the Great Wall represents with each section we ascend and descend. We can stop to take in the amazing view from one of the highest points we will reach that day. About halfway through the hike, at approximately 10:50, we will stop at a water and snack station for a 15-minute rest and a pick-me-up. If you feel that the hike is a little more difficult than you expected, we can certainly make more rest stops along the way, especially during hot summer weather. We will pass through several towers that offer shade; some even have a small temple on the top that you can check out if you have energy. Ultimately arriving at Zhuanduokou Pass (砖垛口),the end of our hike, it is a three-story tower with large red, wooden windows facing north. This will be our last few moments on the Wall, so make sure you have taken enough pictures along the way! We will then get off the wall and walk down a short path to where we will have lunch. 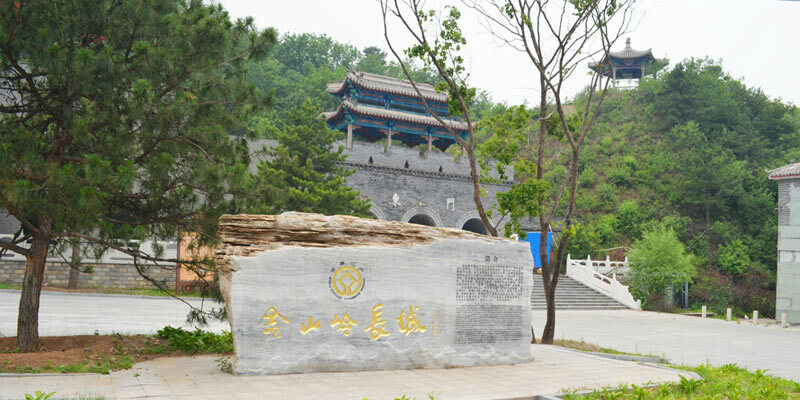 Villagers have set up a restaurant at the base of the entrance to Jinshanling, and offer traditional, tasty dishes made with fresh vegetables and meat. 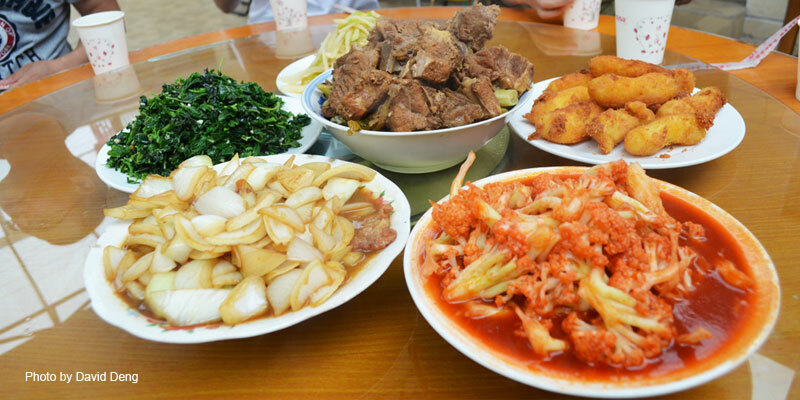 We&apos;ll enjoy Northern Chinese favorites including fried tomato with egg; roasted eggplant with potatoes and peppers; stir-fried bok choy, among other tasty dishes. Once we&apos;ve been fed and watered, we&apos;ll walk a bit further down the road and meet our driver in the parking lot. 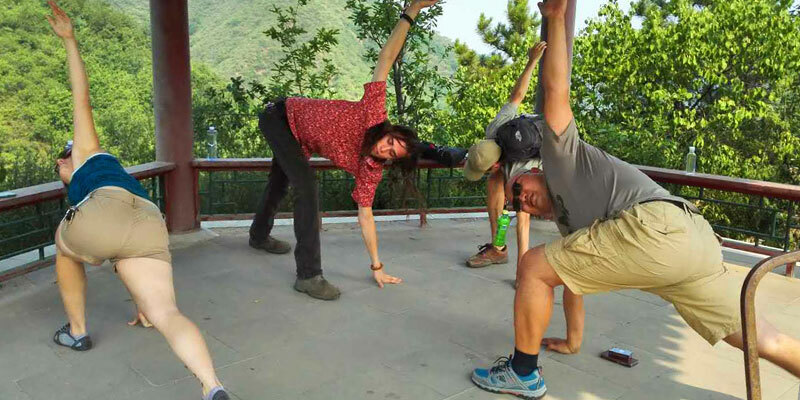 Use the toilet, do some final post-hike stretches, and jump in the car for a nap or reflections on the day&apos;s hike at the Great Wall. Depending on traffic heading into the city, and the distance from the expressway to your hotel, the drive home may range from 2-3 hours. We will be driving on the same expressway that we took on the way to Simatai West. Usually, though, this is an early enough time to avoid evening rush hour, so we shouldn&apos;t have to sit in much traffic. When you arrive, make sure you back up your camera or phone&apos;s memory card so you don&apos;t lose your photos of this spectacular section of the Great Wall. This tour is available every Monday, Thursday, Saturday and Sunday. You&apos;ll be a part of a mini group with maximum 6 people. This tour will be not available during the winter months Nov. 15 - Feb. 28.. 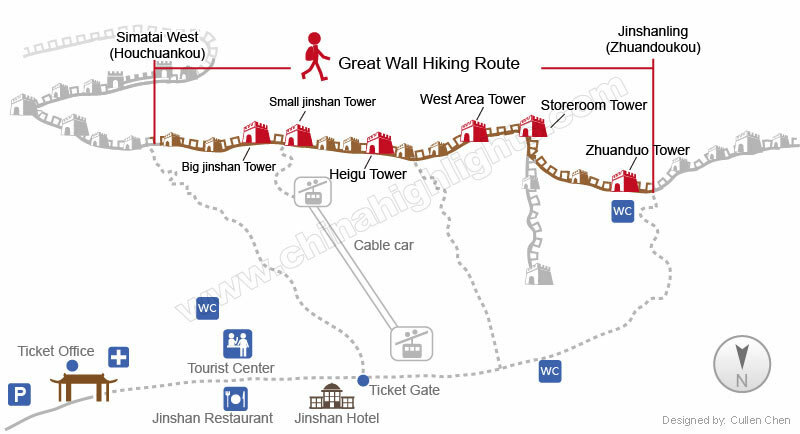 Entrance fees to the Great Wall at Jinshanling and Simatai West. A traveler originally from the southeastern United States, Will has trekked and explored all over the world, but he’ll be the first to tell you that there are more places to go! 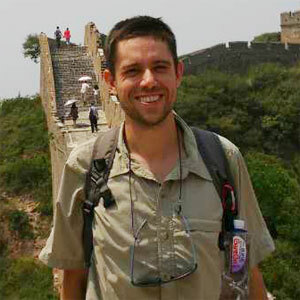 Personable, energetic and full of tales, he has been living in Asia for over 7 years and has two years of experience specifically with the Great Wall. A China scholar for many years, he is always excited to answer questions. Will knows that a solid tour is more than just the destination and is adamant about making your trip a unique and refreshing one! Born and raised in Canada, Colin now calls China home after living for more than a decade in the country, including 8 years in Beijing. 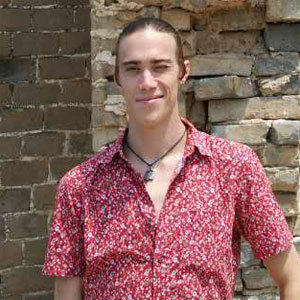 Fluent in Mandarin, Colin also holds an MA in Chinese history and is deeply fascinated by the history of the Great Wall. 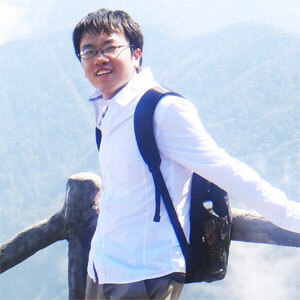 He is also an avid hiker, mountain lover and outdoor enthusiast, so guiding on the Great Wall is a natural choice! 7 years tourism learning experience, Master of history and culture educational background, 3 years experience of Great wall guide and more than 100 days per year of the Great Wall hiking, So long, just because he is deeply in love with this job. With Andy , with “the human wonder” , you will have an unforgettable fragrant memories! 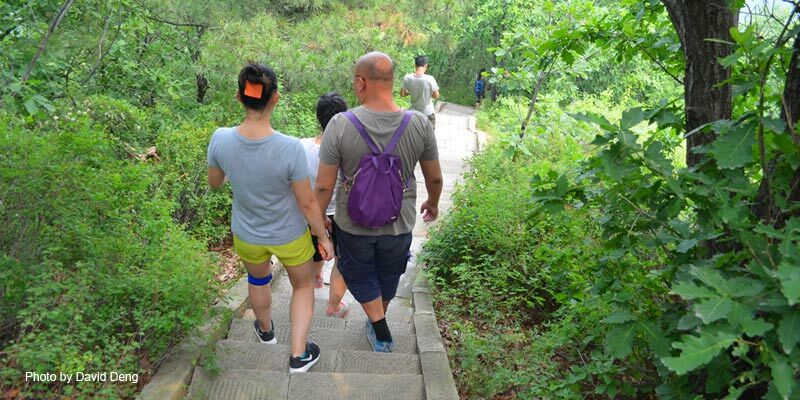 We are experienced and professional on Great Wall hiking! We use real western standard service! Professional mountain guide from your own world: some of our guides are well-trained westerners, the sensibility from the same world would be the best guarantee to the REAL WESTERN STANDARD service. 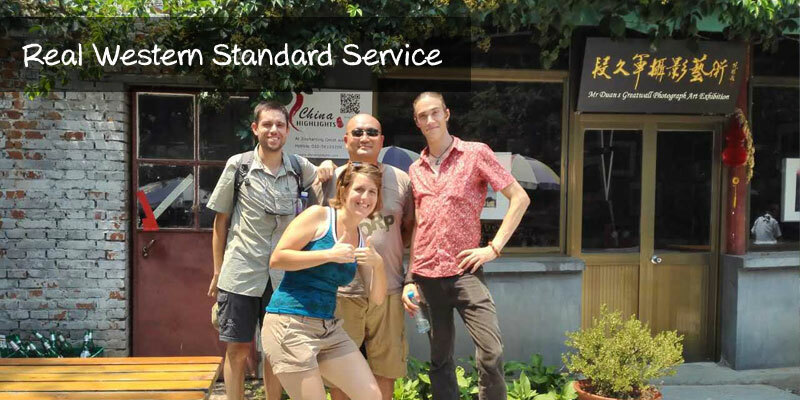 All our guides are professionally trained in mountain trekking. Your tour guide will be with you to take care of your needs during the trip. We are local based. We are more flexible and are able to serve you better. Enjoy free cold drinks at a Refreshment Kiosk in one of the many watchtowers along the Jinshanling section of the Great Wall. Have lunch right after the hike at the foot of the Great Wall in a small local restaurant that serves up delicious Chinese home style cooking. No Shopping: we don’t take people to commission-based shopping stops. You will get decent service, worth what you pay. 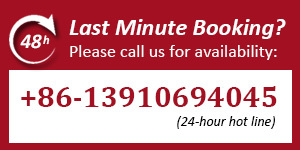 And our rate is clearly listed on the website, there will be no hidden cost. Depart on every Monday, Thursday, Saturday and Sunday.